Today I received a visit from Judy and her granddaughter, Sarah modeling one of my designs. A couple of months ago, I had the pleasure of meeting Judy’s granddaughter, Sarah from Las Vegas. Judy wanted Sarah to pick out yarn and a pattern. 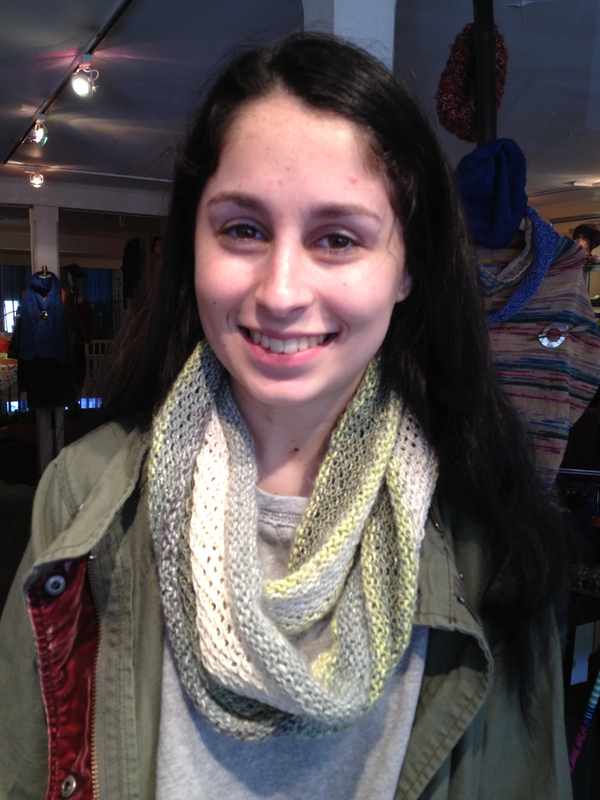 Sarah was drawn to my design, “Woven Mesh Cowl” knit using SMC Select’s Pertinio. Sarah graciously let me take a of picture of her while Judy, the proud grandmother, looked on. How can I describe why I like to knit? Is it the tactile experience of the yarn running through my fingers, color unfolding on my needles, texture created by stitches or sharing a common interest with others? I realized why I like to knit. 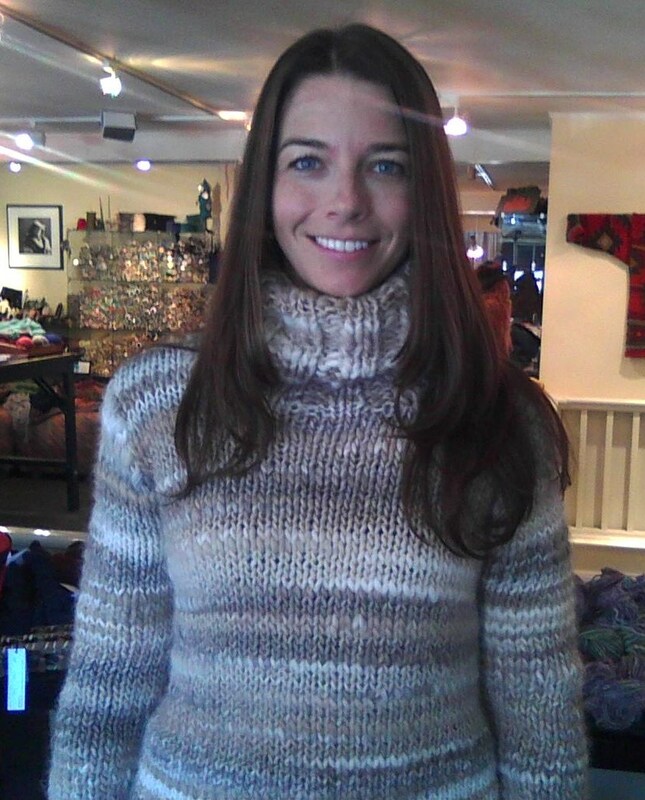 Today, I watched Kate try on her completed sweater for the first time. With a sense of pride, she marveled at her silhouette in the mirror and called me her fairy godmother for making her “knitting wish come true.” Thanks Kate!